Founded on 10 Guiding Principles in 1993, AdvoCare is built on a foundation of integrity. Whether your goals are wellness or to earn some extra income, you can join AdvoCare as a Distributor with the confidence that we are here to help you. Through our online personal and professional training program, in-person events and robust Distributor network, we strive to help you learn all there is to know about AdvoCare and give you the opportunity to reach your goals. We also implement industry-leading best practices to protect you, and hopefully, give you the best experience possible. If you are new to AdvoCare, you may want to start as a Preferred Customer to try the products. 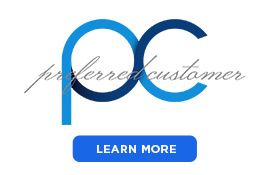 Preferred Customers can join for $19.95 and receive an immediate 20 percent discount on products with the ability to build up to a 30 percent discount. 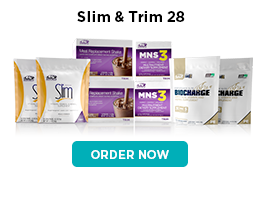 If you know you want to become a Distributor to sell products, you can join for $59.00 and receive an immediate 20 percent discount, plus access to your own AdvoCare microsite to purchase products, special Distributor trainings and access to exclusive Distributor events. You are not required to buy any product to maintain your AdvoCare Distributorship or your product discount. The only fee required to maintain your Distributorship is a $50 annual renewal fee. Your customers can buy product from you right from your microsite and have it delivered directly to them or, should you choose, you can sell products in person as well. If you join AdvoCare as a Distributor for any reason and decide not to continue your Distributorship, you can request AdvoCare refund the costs of your Distributor Kit plus the unused portion of products you purchased from AdvoCare that you still have on hand. We believe in the quality of our products. If they do not meet your expectations for any reason, we will refund your money within 30 days of your purchase from us. 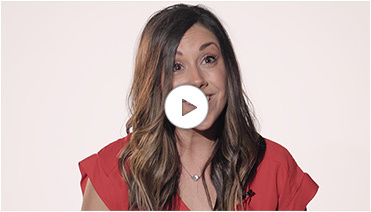 This policy applies to your customers as well. We will make it right. This is our promise. AdvoCare strives to be open and transparent at all times concerning its business opportunity and ability to earn income. 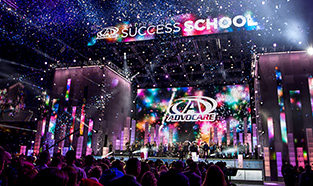 Annually, AdvoCare publishes its Income Disclosure Statement detailing how many Distributors earned checks from AdvoCare and the ranges of those checks. The median annual compensations paid by AdvoCare to Paid Distributors in 2017 was $125 ($1402 Average). A paid Distributors is anyone who has paid by AdvoCare. 67.28 percent of Distributors did not earn any income from AdvoCare, but did enjoy a 20-40 percent discount on their product purchases and the ability to earn income from their retail sales. AdvoCare clearly states the intended use and benefit of each product on the product label and on the AdvoCare website. If there are ever questions regarding the products, AdvoCare advises referring to the website, calling Customer Service 1-800-542-4800 and always consulting with your healthcare provider before beginning an AdvoCare product regimen. AdvoCare cares deeply about upholding the standards in which we have set for our Distributors and customers, including the appropriate ways to talk about the products we sell and the business opportunity we provide. We are proud members of the Direct Selling Association and the Council for Responsible Nutrition. If for any reason you believe a Distributor is misrepresenting themselves, claims about our products or AdvoCare, please contact AdvoCare at Legal@AdvoCare.com. AdvoCare is committed to striving for the highest quality of excellence and integrity. Join Us.